This week Arkansas Attorney General Leslie Rutledge rejected a proposed constitutional amendment to open four casinos in Siloam Springs, AR; Texarkana, AR; Omaha, AR; and the Little Rock area. The A.G.’s office rejected the proposal due to ambiguities in the amendment’s ballot title. This casino amendment reportedly is backed by the group Arkansas Wins, who sponsored a similar measure in 2016. The Cherokee Nation in Oklahoma gave Arkansas Wins $6 million in 2016 to fund their casino proposal, but it ultimately was removed from the ballot at the last minute. The Cherokee Nation also would have operated one of the casinos the 2016 amendment authorized. It is not clear at this point if the Cherokee Nation would operate casinos under the 2018 proposal. Meanwhile, The group Driving Arkansas Forward has partnered with the Quapaw Indian Tribe in Oklahoma to bring casino gambling to Arkansas. They’ve submitted ballot proposals for casinos in Jefferson, Garland, Pope, and Crittenden counties. The Quapaw’s leadership has said they want to put a casino in Pine Bluff. Fortunately, Attorney General Leslie Rutledge has blocked their proposals as well. 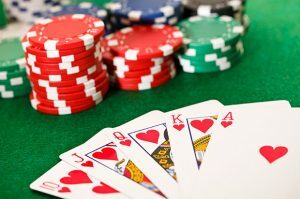 Casino gambling is linked to homelessness, domestic violence, divorce, and bankruptcy. It’s a blight on the community. Arkansas already has enough problems from gambling. We don’t need any more. You can read the A.G.’s entire opinion here.